Goodwill wants to help unemployed or underemployed veterans find meaningful and rewarding jobs. Goodwill aims to remove barriers to employment for veterans who want to work. 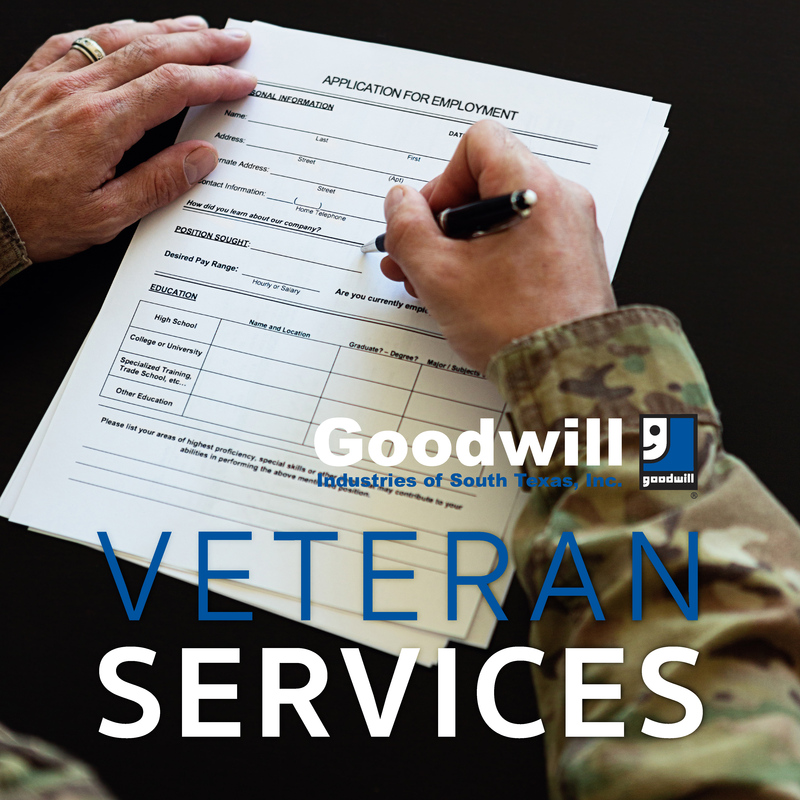 When a veteran comes to Goodwill, they can be assured that they will be treated with respect and dignity. Have you been unsuccessful at finding a job even after filling out application after application? In addition to learning how to transition into civilian employment, Veterans will also know how to enhance soft skills to be successful in the workplace. Upon completion of job-preparation, Veterans meet one-on-one with an Employment Consultant, who develops an individualized employment plan based on skills and interests. The Employment Consultant works as an advocate to assist Veterans in finding civilian employment. Once a veteran is placed into employment, a Case Manager is assigned to ensure employment goals are met (up to 180 days). If you are an unemployed veteran who is looking for work, call Goodwill today at 361-884-4068.